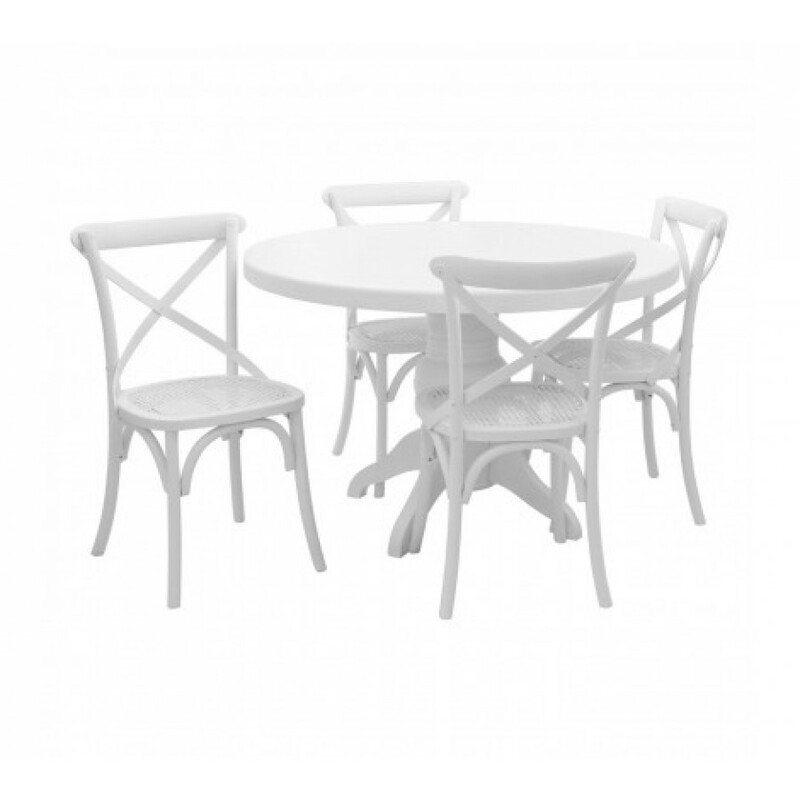 Inspired by the rural tranquillity of Vermont, pull a seat up and enjoy a family meal with our stylish 5 piece dining set, featuring a white wash to complement most decors. Featuring a round dining table and four chairs, each piece is made from Paulownia wood, which is known for its strength and durability, while being lightweight. The round top is supported by a sturdy base with four legs ensuring stability and sturdiness. The chairs are beautifully designed with gentle curves that ensures style and comfort. The back rest is slightly curved ensuring your body is supported, while the mesh design seat has a little spring to it for a more comfortable feel when seated. Comfortably sitting four, the Vermont dining set complements most settings adding its own chic style to your room.